If your day is starting off as a bit of a drag and you need something to kick some energy intro your morning, look no further than this. 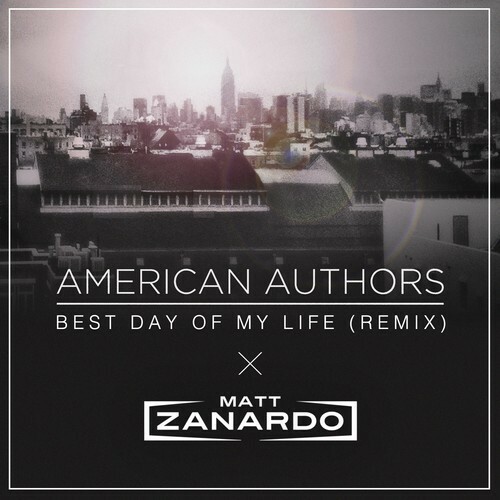 Matt Zanardo’s remix of the American Authors’ massively popular single Best Day of My Life is full of energy and a perfect addition to any party playlist. The remix is made with the club in mind, but it still manages to keep the celebrating spirit of the original. Matt Zanardo is a producer out of Toronto who has recently signed to 2+2 Management. The management group is know for supporting popular EDM acts such as Zeds Dead, Art Department, Keys N Krates, Dzeko & Torres, and Grandtheft. With Matt Zanardo joining 2+2, expect so see some high profile collaborations, plus plenty of original tracks released throughout the year.